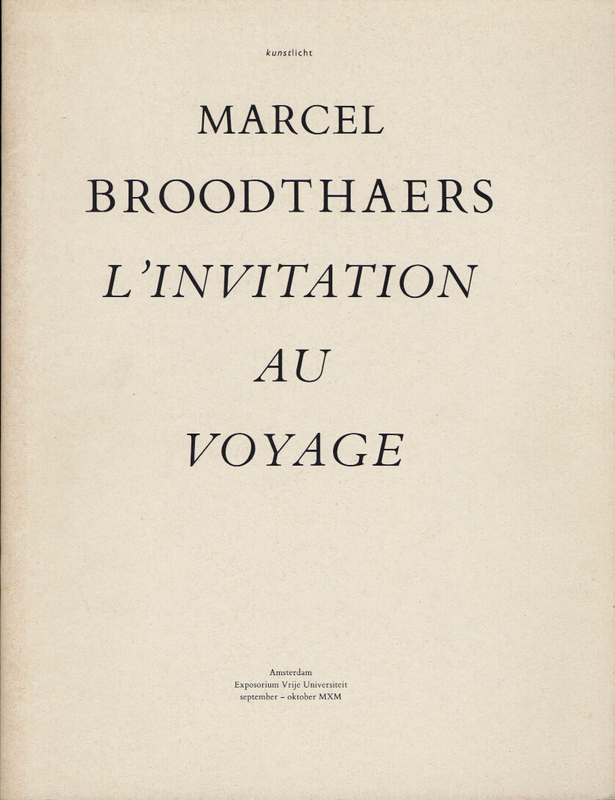 An elegant, slim volume from an exhibition that looked at the theme of travel in Broodthaers work and writings. Organized by Henriekje Bosma and Jan Mot, with a text by Q. S. Serafijn. 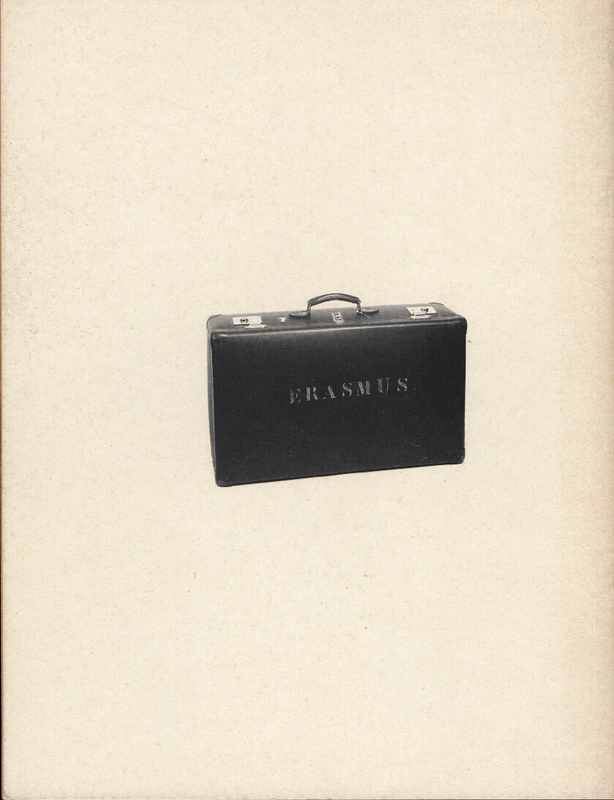 Amsterdam: Exposorium Vrije Universiteit, 1990. Illustrated, 20 pages. Dutch.